David Warner and Steve Smith (pictured) could be the key targets of a new T20 competition that will run during the Big Bash League. 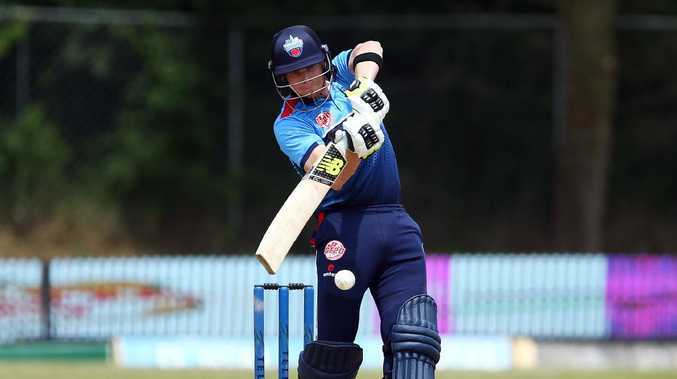 STEVE Smith and David Warner are likely to be targeted by a new T20 start-up in the United Arab Emirates, which has the potential to cause Cricket Australia consternation given it'll clash with the Big Bash League. The proposed competition, which is seeking sponsors and franchise owners, released dates and other details this week. It's yet to contract any players. Smith and Warner haven't mapped out their summer plans and may yet shoulder arms to any approaches. Smith and Warner will play grade cricket in Sydney but that competition's mid-season break is December 23 to January 11. 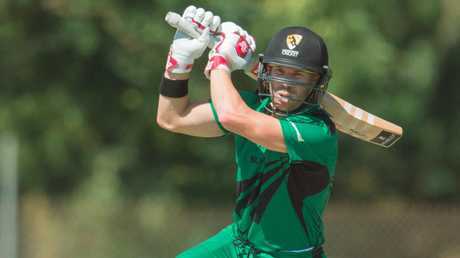 David Warner during the Men's Strike League match between the Desert Blaze and the City Cyclones. The governing body could try to withhold No Objection Certificates (NOCs). They are expected to take that action with most Australian requests. However, that would lead to restraint-of-trade arguments. BBL boss Kim McConnie isn't worried about the prospect of Smith and Warner stealing eyeballs if they play in the new league. "Australia's big international stars have very rarely played Big Bash," McConnie told AAP. "Other things might be happening around the world, that's the nature of cricket. "But what people love about Big Bash is that 7pm every night they can turn the TV on and watch. That's our advantage." The UAE league, expected to have a much bigger salary cap than the BBL's $1.6 million per team, claims cricket boards from England, West Indies, South Africa and New Zealand have given consent for players to take part. The risk is the game's best T20 freelancers, and a stack of Englishmen keen for a hit in the middle of winter, could bypass the BBL for a shorter and more lucrative stint in the UAE. "I've got eight clubs that would kill me if I gave anything away but we're not seeing, in terms of overseas player interest, that the expanded season or any other factors have limited us," she said.